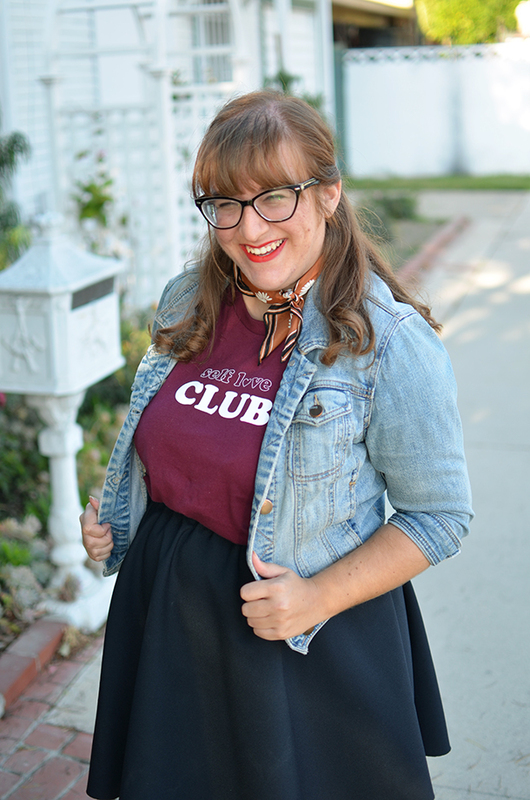 I am so excited to share that I officially an ambassador for Heartman Clothes! I found Heartman through Instagram a little while ago, and I was immediately in love with the brand when I learned that they donate proceeds from all of their items to worthy organizations. I included Heartman in my Guide to Makers Who Donate Money, and I've been following along with them ever since. I don't usually enter ambassador searches, but I really love the shirts Heartman makes, so I decided to give it a shot. Turns out, the love was mutual! I'm pumped to get to be part of the team and share more with you all. 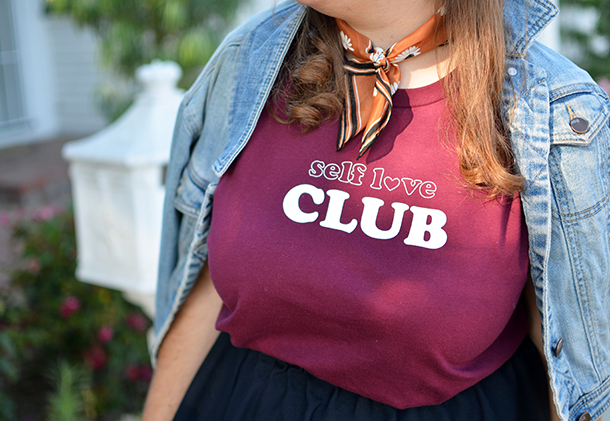 I had such a hard time choosing my first shirt, but I ultimately had to go with the Self Love Club tee. I feel passionately about all of the causes that Heartman donates to, but it felt appropriate to go with something that represents confidence, body image, and feminism. 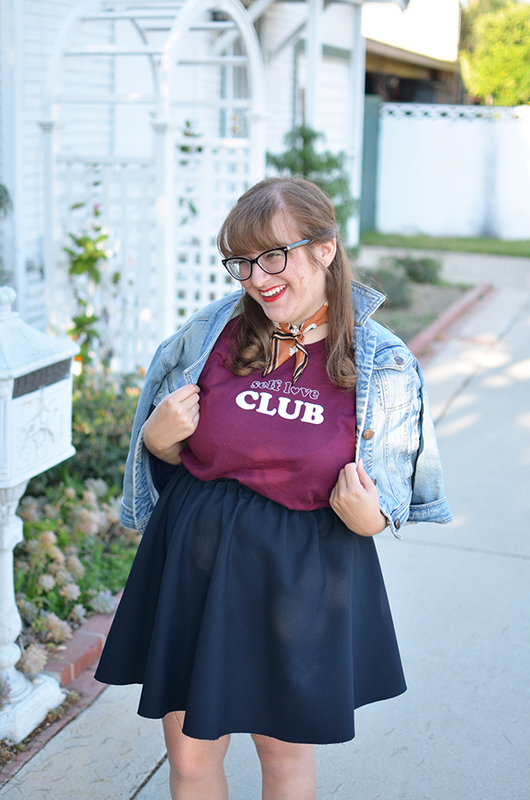 10% of the proceeds goes to I AM THAT GIRL, an organization that helps girls with self-doubt and provides a safe space and honest conversation. I'm definitely guilty of thinking of "adult" issues when it comes to feminism (like the wage gap, abortion, etc.) that it gets easy to forget that feminism has to start early. You can read more about I AM THAT GIRL here and donate directly here. You can also get 15% off at Heartman Clothes with the code ELANA15. 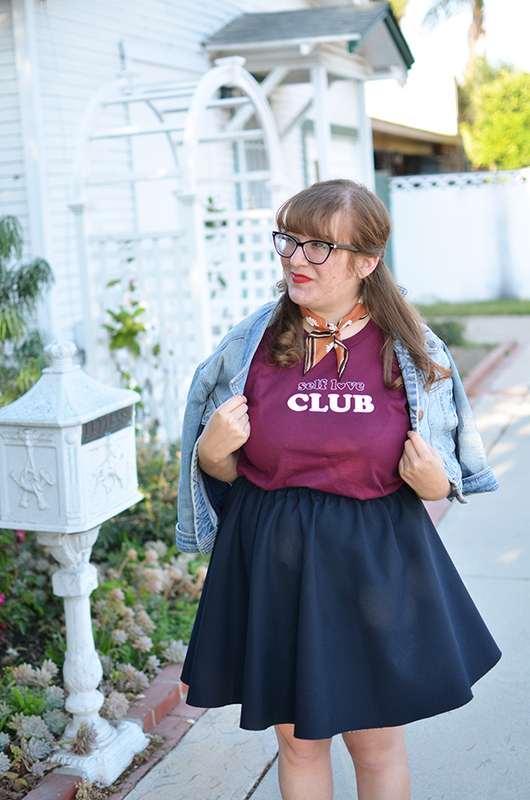 Get yourself a cute tee that does some good! No better partnership has ever existed. You're the perfect brand ambassador! 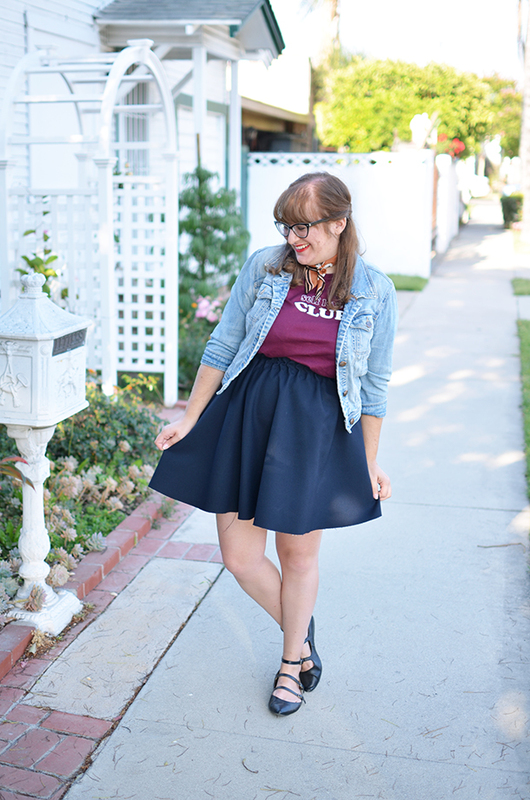 This first outfit post is such a strong start. It makes me excited about what's to come. Congrats, girl! You are confident and dress up nice and cute.